The Electrical Engineer's Handbook is an invaluable reference source for all practicing electrical engineers and students. Encompassing 79 chapters, this book is intended to enlighten and refresh knowledge of the practicing engineer or to help educate engineering students. The Electrical Engineer's Handbook will most likely be the engineer's first choice in looking for a solution; extensive, complete references to other sources are provided throughout. No other book has the breadth and depth of coverage available here. The Electrical Engineer's Handbook is a must-have for all practitioners and students! 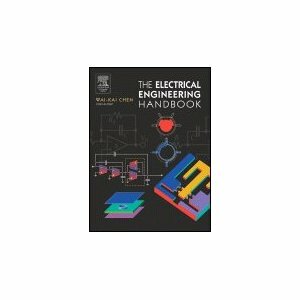 The Electrical Engineer's Handbook provides the most up-to-date information in: Circuits and Networks, Electric Power Systems, Electronics, Computer-Aided Design and Optimization, VLSI Systems, Signal Processing, Digital Systems and Computer Engineering, Digital Communication and Communication Networks, Electromagnetics and Control and Systems.